Dale K. Myers is a 43-year veteran of radio and television. 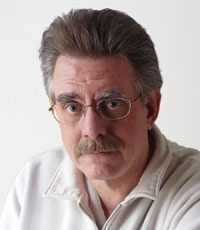 Winner of numerous awards for his work in the broadcast industry, including 4 Emmy ® awards for his computer animation work, Myers is an internationally recognized expert on the JFK assassination. Over the last two decades, he has served as an on-camera expert and technical consultant for numerous television networks worldwide including ABC News, the BBC, PBS, The Discovery Channel, and The History Channel. Myers authored the critically acclaimed book, With Malice: Lee Harvey Oswald and the Murder of Officer J.D. Tippit in 1998; which was updated for the 50th anniversary in 2013. In 1999, he authored Computer Animation: Expert Advice on Breaking into the Business, a street-smart guide on what it really takes to be successful in the animation industry. His stunning 2003 Emmy ® award-winning computer reconstruction of the JFK assassination, originally featured in the ABC News special Peter Jennings Reporting: The Kennedy Assassination - Beyond Conspiracy has been seen by audiences worldwide. His forensic animation work on the JFK case can be found at Secrets of a Homicide: JFK Assassination, and his musings and investigative articles on the assassination controversy at jfkfiles.blogspot.com. A seasoned and entertaining public speaker, Myers has wowed audiences with his talks on topics ranging from the JFK assassination investigation to breaking into the computer animation industry.